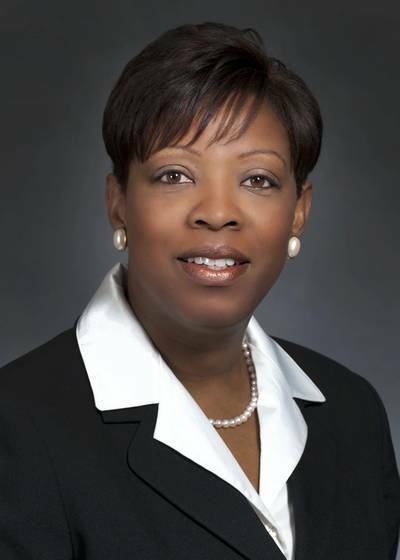 Huntington Ingalls Industries (HII) announced today that Lori Harper, vice president of supply chain management at the company's Ingalls Shipbuilding division, was named one of the state's 50 Leading Business Women by Mississippi Business Journal. These 50 senior decision-makers are the most powerful, influential women business leaders in the state. More than an awards programs, the Top 50 Women is a development and networking organization that encompasses training opportunities for the inducted women to grow together as business leaders. "Lori is truly deserving of this recognition," said Ingalls Shipbuilding President Brian Cuccias. "Her leadership at Ingalls, as well as her leadership throughout the community, is an outstanding example for others to emulate. Supply chain management is an integral part of building affordable ships for our customers, and Lori understands how innovation, agility and performance helps Ingalls meet our customers' affordability requirements." As vice president of supply chain management, Harper leads all of Ingalls' supply chain management functions, including sourcing, procurement, inventory control and material warehousing operations. She joined Ingalls in 2002 and has held leadership positions in multiple areas, including director of production control, material director for the LHD 8 and LPD 17 programs, supply chain compliance manager, and subcontracts section manager. Harper received a bachelor's degree in business administration from Southwestern Oklahoma State University and an MBA from William Carey College. She has also attended leadership training at the University of Virginia's Darden School of Business.